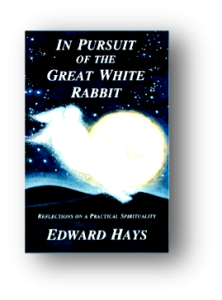 In his book In Pursuit of the Great White Rabbit: Reflections on a Practical Spirituality, Edward Hayes relays the following story from the Desert Fathers and Mothers in early Christianity. Once upon a time a spiritual seeker went out to the desert to ask a wise old monk in his hermitage this question: “Why do some people live their whole lives in a dynamic religious search while others never begin?” The old man smiled and told the seeker the following story. Most of us have gotten a glimpse of the white rabbit. We’ve seen flashes of it and have felt its presence in our lives, which is why we’re still in the pursuit, why we still come to Mass and why you’re reading this bulletin right now. 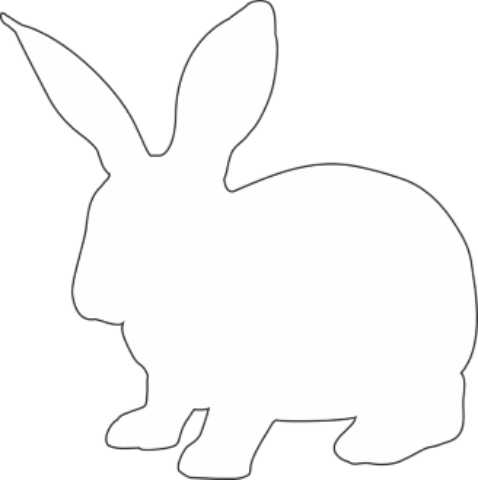 We believe in the white rabbits of love, mercy, kindness, forgiveness and compassion. But not everyone has seen the white rabbit in their lifetime; not everyone knows what love, mercy, kindness, forgiveness and compassion look like. They’ve heard about it, they’ve been told about it, they’ve even chased it themselves at some point, but they haven’t seen it. It doesn’t run through the places where they live and work. So they begin to think the white rabbit is a myth. Our job is not simply to keep up the chase. That’s certainly part of it, but it’s far from all of it. We need to show the white rabbit to others; we need to let them see love, mercy, kindness, forgiveness and compassion in us and through us. So here’s a question to walk with: in the simple, often fleeting moments when others encounter you, do they get a glimpse of the white rabbit? Journey well and pray always.